Do you want to hear more songs from film and television screamed by goats? Sure, we all do. Good thing for us, then, that self-described “low cost humor” collective Marca Blanca continues to do God’s work. 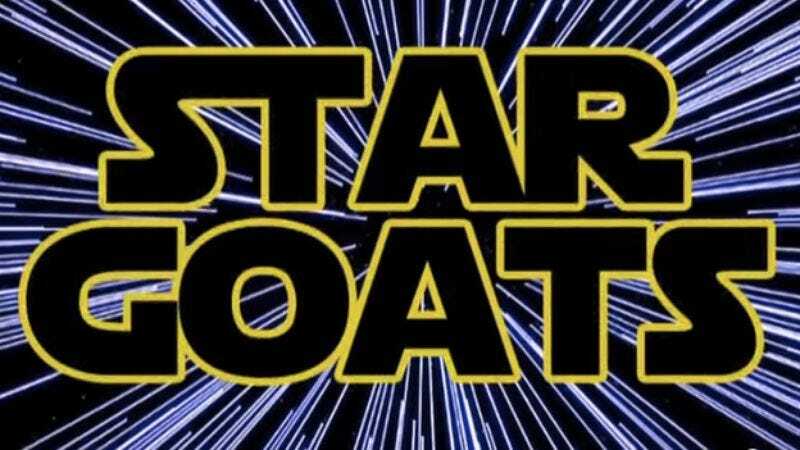 The YouTube account behind such classics as “Jurassic Goat” and “Game Of Goats” is now back with “Star Goats,” and one can probably make an educated guess as to what that means. Namely, just a bunch of goats cut together to sound like they’re screaming Darth Vader’s theme song, “The Imperial March.” Search your feelings. You will know it to be true: It’s funny when goats scream a song.